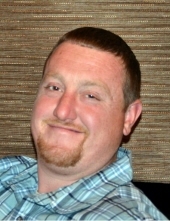 Robert “Bobby” McKiernan of Highland, passed away peacefully on April 6, 2019. He was 40 years old. Bobby is survived by his beloved wife, Karen; loving mother, Jani (Tim) Hyland; grandfather, Tom Logan and his companion, Alice; aunts, Marge McKiernan, Molly McKiernan, Heather (Gregg) Polidori, and Laurie (Dave) Comps; cousins- Danny, Matt, Michael, Theresa, Angela, Stephanie (Jake), Dominic (Taylor), Jason (Lisa), Andy (Julie) and Tom. Also survived by many loving extended family and dear friends. Bobby is preceded in death by his loving father, Robert McKiernan (dec 2012). Also preceded in death by his grandmother, Mary Logan (dec. 1997); grandmother (dec. 1985) Geraldine McKiernan; uncles (dec 2016), Jack and (dec) 2007 Joe McKiernan. A Memorial Service will be held at Lynch & Sons Funeral Home, 404 E. Liberty St., Milford on Tuesday, April 16th, at 11AM. Family and friends may gather at funeral home on Monday, April 15th from 3-7PM. For further information, phone Lynch & Sons Milford at 248-684-6645. "Email Address" would like to share the life celebration of Robert "Bobby" McKiernan. Click on the "link" to go to share a favorite memory or leave a condolence message for the family.